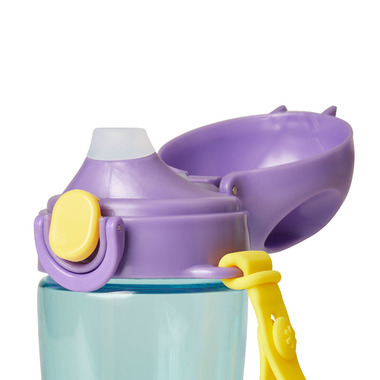 Skip Hop Zoo Lock-Top Sports Bottle Owl is perfectly sized for active bigger kids. 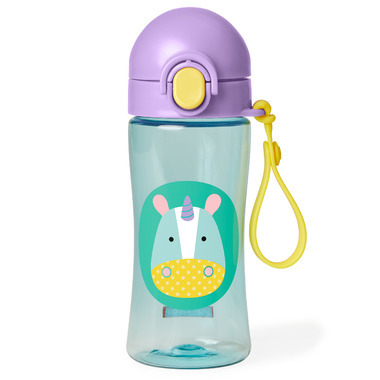 This cute and convenient sports bottle features a locking lid to prevent spills, an easy-grip finger loop, a silicone drinking spout and a handy carrying strap for grab-and-go ease. The generous 14 oz. size holds plenty of water, juice or whatever your little ones likes to drink.